A high performance instrument with a huge 200mm parabolic primary mirror for incredible light transmission. The primary mirror is made of low thermal expansion pyrex glass, resulting in substantially shorter cooling times. 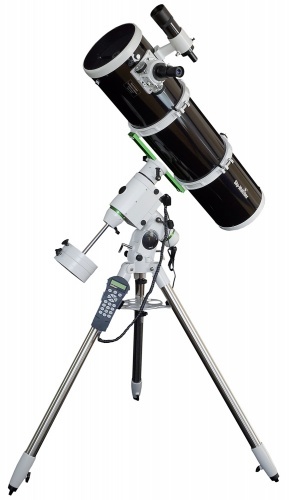 Provides breathtaking views of deep sky objects. 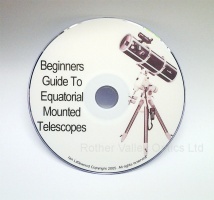 Securely mounted on the new HEQ5 PRO GOTO equatorial mount and supplied with an impressive range of accessories and refinements. The Skywatcher Explorer-200 is an awesome package for the discerning enthusiast at a very reasonable comparative price. Thanks for sorting me out with the Explorer 200P. It has exceeded all my expectations. I found it difficult to work out the mount at first, but i realised I wasn't aligning it properly. Now I have learned a bit, I can get it sorted out easily. It's great to be able to find things just at the touch of a few buttons, and I now have the aperture to see galaxies. Wonderful!